BMI Healthcare has appointed a new boss of its flagship Alexandra Hospital. Simon Shepherd, 56, has succeeded Philip Oehley as executive director of the Alex in Cheadle, Greater Manchester. The Alex is the largest private hospital outside of London and the largest in BMI Healthcare’s portfolio, with 600 staff and 600 consultants and annual turnover of £70m. 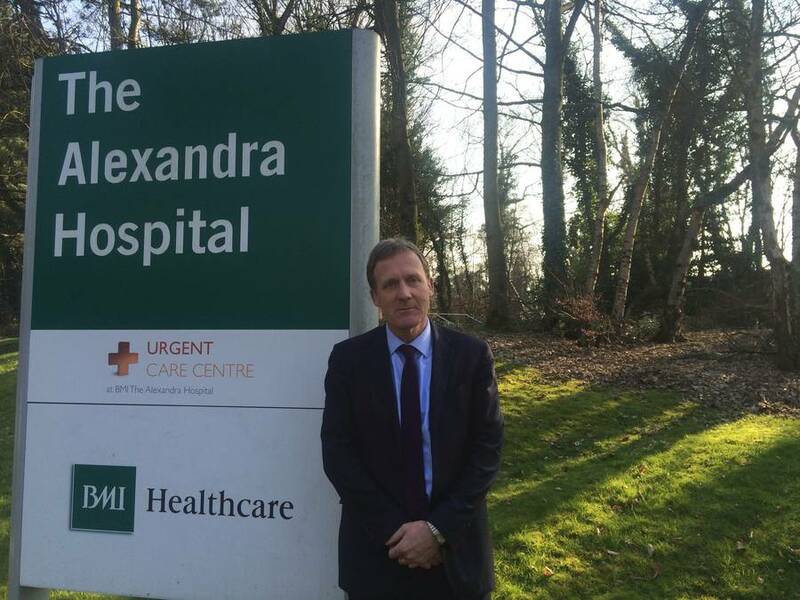 Married father-of-two Simon has joined the Alex as BMI prepares to embark on a major investment programme at the hospital, which treats more than 20,000 patients a year. He has 15 years’ senior leadership experience in the healthcare sector. His last role was managing director of Reproductive Health Group, a Warrington-based provider of fertility and gynaecology services which he co-founded. Simon began his career as a marketing graduate trainee at Esso Petroleum and worked at Yates Group then Oasis Healthcare before joining Nuffield Health, where he was the director of the Wessex Hospital in Eastleigh, Hampshire, and The Grosvenor Hospital in Chester. He said: “I’m delighted to join the Alex at such an exciting time in its 35-year history. “I’ve been very impressed with the commitment of all the team here and the very high standards that they achieve. Group chief executive Jill Watts said: “Simon is a very experienced hospital operator who joins us at an exciting time for the Alexandra Hospital. “We are building on the hospital’s 35-year history of serving the people of Greater Manchester and beyond, and we are investing for growth.